Are you looking for a new house, but don't want to pay the new house price? 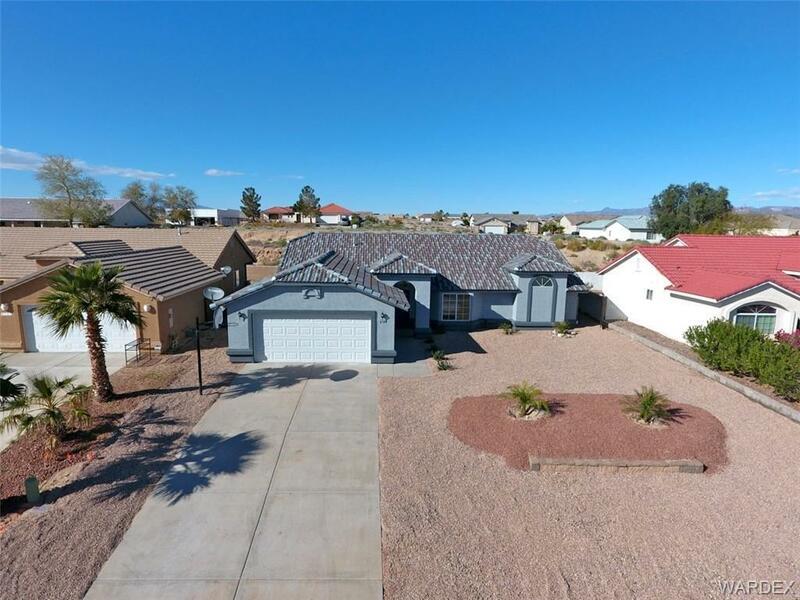 Well come check out this newly remodeled home in the beautiful Fort Mohave, AZ community!! Gorgeously remodeled home with new everything!! Start with the new interior and exterior paint, new carpet and tile flooring through out, almost every light is new. Cook in the beautiful kitchen with new granite counter tops, master bath. Enjoy the beautifully covered patio out back on the hot desert nights or have a cup of coffee while taking in the Mountain views and sunrises from the front. Everything on this property is new, new, new!! Come live where the cool water of the Colorado River meets the hot sands of the Mohave Desert in Fort Mohave, Arizona! !